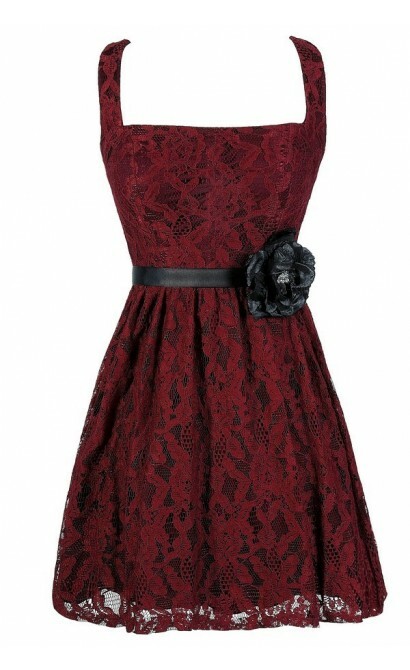 A fabric flower on the belt of this dress adds the perfect touch to an otherwise simple lace dress. 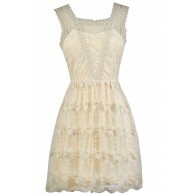 The Captivating Corsage Lace Dress is fully lined and made of lace. It has wide shoulder straps that cross in the back, adding a flirty detail. The lightly padded bust adds support to this dress, and princess seams at the bust add structure and shape. This dress has an empire waist that gives way to the A-line skirt. A hidden layer of tulle underneath the skirt adds volume. An exposed back zipper completes this dress. 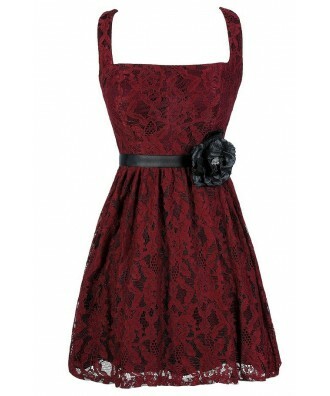 The Captivating Corsage Lace Dress can be worn with or without the contrast belt. Try pairing it with a belt or fabric sash in your closet to create a completely different look. 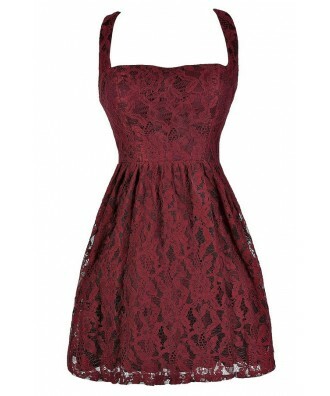 This is a dress that would look nice paired with pumps or heels. Wear it with wedges in the summer for a cute look. The Ivory version is perfect for brides to wear to a rehearsal dinner or bridal shower. Details: Fully lined. Lightly padded bust. Exposed back zipper. 45% cotton, 55% nylon. Lining: 100% polyester. Remove trim. Professional dry clean only. Size 3 measurements: Length from top of shoulder to hemline: 34". Bust: 32". 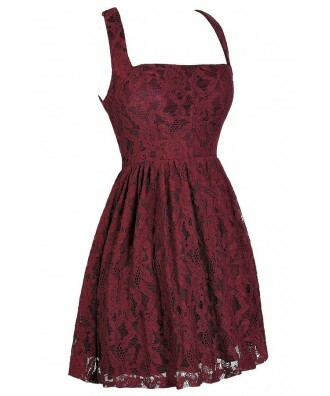 You have added Captivating Corsage Lace Dress in Burgundy into Wishlist. 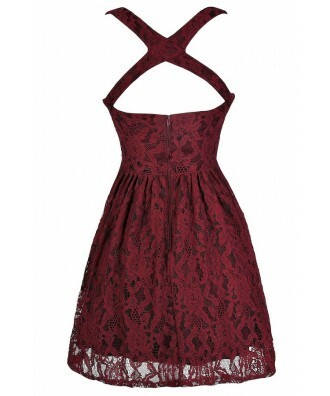 You have added Captivating Corsage Lace Dress in Burgundy for Stock Notification. 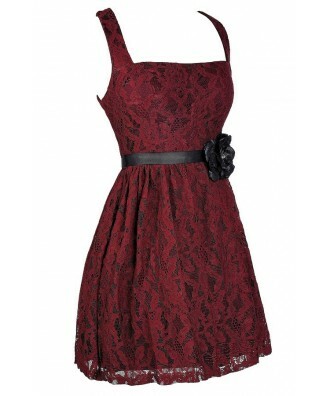 You have set Captivating Corsage Lace Dress in Burgundy as a loved product. 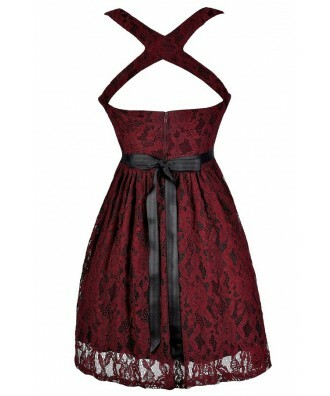 You have removed Captivating Corsage Lace Dress in Burgundy as a loved product.